Hydrates & evens skin tone for a sun-kissed glow - Try a sample! This tinted moisturiser suits all skin tones and gives a light yet radiant, warm glow. Quince seed and Anthyllis extract as well as Rose wax serve to protect and nourish your skin. It can be used alone as a day cream, as unlike many tinted moisturisers it really is very moisturising or applied on top of your usual moisturiser. Do you want to buy the full size? This is rich and very moisturising so you might not need to use a separate moisturiser. If you don't like the rich texture try Dr Hauschka Translucent Bronzing Tint mixed with your usual Dr Hauschka Moisturiser. 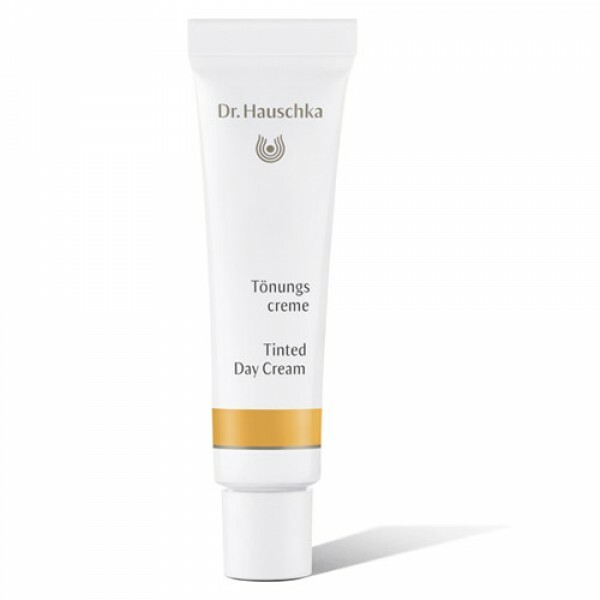 Tinted Day Cream is the new name for Dr Hauschka Toned Day Cream the formulation is the same even though the packaging has changed.